WOODLAND HILLS, Calif. (June 2, 2015) – Luca for Dogs today officially announced the addition of new fabrics and colors in its top-selling “Cuddler” bed line for dogs. Since 2009, the company’s luxury dog beds have provided consumers and dogs with functional innovations. Its beds are easy to care for, comfortable and eco-friendly. In addition, its beds are filled with 100% recycled fiber and made in their own U.S. factory. The newly introduced colors and fabrics add to the already lightweight and durable line of Cuddler beds. “We are adding three new colors in a silky soft but super durable micro-velvet fabric. It is very rich and luxurious looking,” remarked Luca for Dogs owner, Kimi Proffer. Of all the micro-fabrics, micro-velvet is the softest and most lavish. It is both durable and cozy. The new Cuddler colors will be offered in Honey, Sapphire and Mocha. These new beds abide by the company’s three primary principles: to provide beds that are easy to clean, have stylish fabrics and incorporate sustainability features. The full Cuddler bed line is available in a variety of colors, materials and sizes, including XS (18×12), S (24×18), M (30×20), L (36×24), XL (42×28), with MSRPs from $38.99 to $128.99, depending on size and fabric type (solid, plush or micro-velvet). For more information and to see the complete line-up of beds, please visit www.lucafordogs.com. Luca for Dogs brings a fresh perspective to the world of dog beds. Like so many great ideas, Luca for Dogs was originally created out of frustration and determination to improve a widely used product. When owner Kimi Proffer adopted her first dog, she was thrilled and excited to raise her new four-legged friend in her beach community. However, she found washing her dog’s bed difficult and options limited. Luca for Dogs was born to provide beds that provide functional innovation in the areas of easy care and pet comfort. 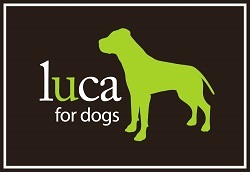 For more information, please visit www.lucafordogs.com.